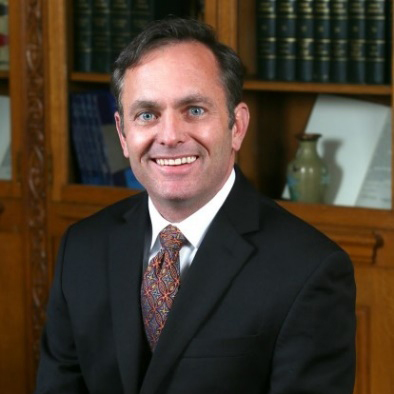 Kyle Hybl currently serves as Chief Operating Officer and General Counsel for El Pomar Foundation and General Counsel for The BROADMOOR Hotel, Inc. and The Garden City Company. In 2012, Kyle was elected to serve a second six-year term on the Board of Regents for the University of Colorado System. He served as Chairman of the Board of Regents from 2010-2012 and from 2014-2016. Kyle currently serves as Chairman of Police Foundation of Colorado Springs and serves on the Board of Directors and as Corporate Secretary for Junior Achievement USA. He also serves on the Board of Directors for Hundred Club of Colorado Springs, Air Force Academy Foundation, Mountain States Employers Council, American Council of Young Political Leaders, and Broadmoor World Arena. Recently, he was appointed to the National Cybersecurity Center Board of Directors and as Chairman of the Cyber Institute Board of Advisors.